Stock Market investment can be confusing for beginners, with so many options, it can be hard to choose a direction when you are a beginner (or even when you are pro). In “Stock Market for Beginners” you will learn various strategies to invest in the stock market, to allow you to decide what type of trading suits you better, and what can be more profitable, depending on your appetite for risk and reward. This article talks about some of the most popular investment strategies used buy investors, that are useful regardless if you are beginner or pro. The idea here is to provide you a summary of how (and where) you can invest your money, and hopefully make more of it in the stock market. 3 How can Stocks make money? 4 What is the risk in Stock Market for beginners? 5 How can I invest in the Stock Market? Stocks represents legal shares of ownership in a business. Stocks are sometimes called “securities”, because they are a type of financial security, or “equities,” because they represent ownership (equity) in a business. They are also called “shares” (mostly in the UK), because they are essentially “shares of companies”. Shares are offered in a variety of different ways: you can buy them in individual companies, you can put different ones together and build your own portfolio or you can buy them through collective schemes such as Funds or Investment Trusts. Imagine you wanted to open a restaurant, but you don’t have the investment money required. Let’s assume that according to your business plan, you need $100,000 to get the business off the ground. As you don’t have the money yourself, you manage to get some help from various members of your family. Each member of your family invests some money into your business, with the expectation they will get profits when the business grows and ultimately when you decide to sell the restaurant. Each family member invests a different amount of money, and to make ensure the ownership of the business is fairly divided, you divide the company into 1,000 shares of stock. You price each share of stock at $100 and sell all of the shares to your family members. You should have the $100,000 you need (1,000 shares x $100 contributed capital per share = $100,000 cash raised for the company). In this specific case, each share represents 0,1 % of the restaurant. If you cousin buys 20 shares (for $2 000), he/she will have 2% of the restaurant. Your dad might decide to buy 300 shares (for $30 000), therefore he now owns 30% of the restaurant. And the same logic applies to the rest of your investors. In this example, because you are not going to keep any stocks of the company, you might operate as its director, but you won’t have any ownership of the business. You will be paid a salary and take care of all the operational stuff. 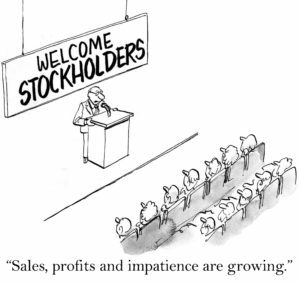 The investors (or “stockholders”) won’t be working in the business. They will just relax at home, and wait for you to get some profit and grow the business. At first year, the restaurant is a success and makes a $50,000 profit, after taxes, salaries, and all other business costs. 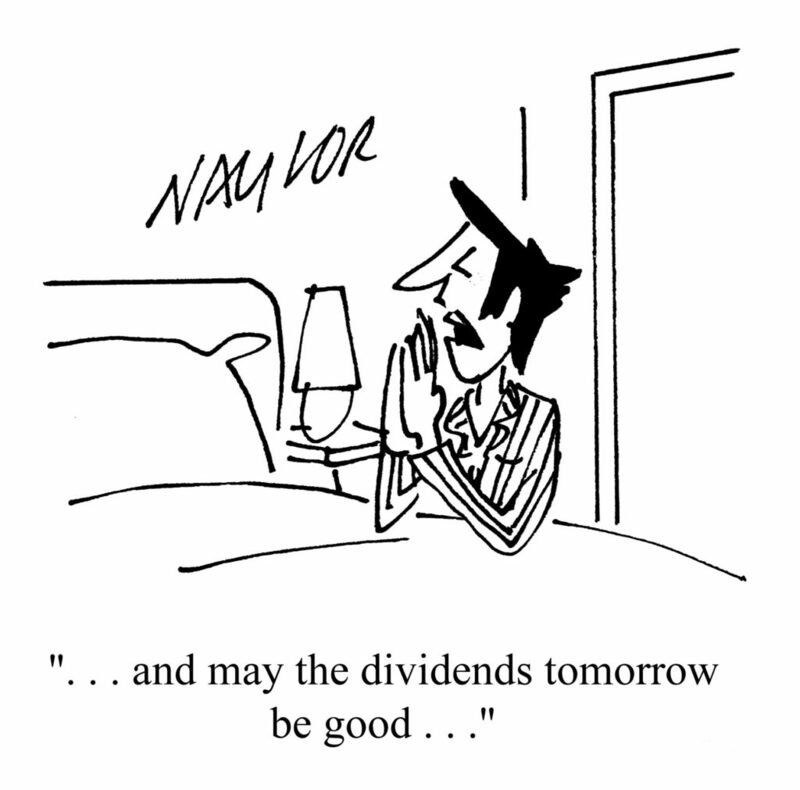 That means, that each share of stock would be entitled to 1/1,000th of the profit.These are the dividends! To calculate the dividends for each individual share of stock, you’d take $50,000 and divide it by 1,000, resulting in $50 earnings per share. Wall Street also call this as EPS (earnings per share). As time goes by, your investors can also buy/sell their shares of stock amongst them, or to other people/companies which might want. You can also buy them, and in case you buy more than 50%, you become the main “stockholder”, which gives you all the power to take many unilateral decisions about the business. But remember, if the business grows, the value of each share will also grow. Let’s assume that after 3 years, the restaurant is now worth $500 000, because it has been a enormous success, with gourmet magazines recommending and people queuing outside for 2 hours, just to taste your food. With the new valuation, each share of stock would now be worth $500 (remember: 0,01% of the business), instead of the initial $ 100. If your dad decides to sell his share of the business, he would be pocketing $150 000. How can Stocks make money? Combined, are those elements are represented by something known as an investment’s total return. What is the risk in Stock Market for beginners? Before you start investing it’s important to decide the level of risk you are willing to accept, and unfortunately, many financial analysts tend to bluntly recommend that you reduce risk by just investing in “blue chip” companies and “diversifying” your portfolio. Unfortunately this is just half true if you don’t have a strategy. Either as beginner or pro, you need to decide what you want to achieve by trading stocks, how long you are planning to invest for and how much risk you are prepared to take, as this will help you decide which investments (and strategies) are appropriate. When you know what you’re doing and don’t hurry to make risky investments, the stock market is safer than you might think. 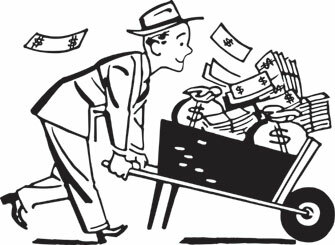 While nothing is guaranteed 100% of the time, the basic principle is that when a company makes money, you will also make money. And many publicly traded companies are very good at making money. It’s just a matter of figuring out which ones. Tales of other people’s huge gains can be tempting, but the market won’t always go in your favour, and you must be prepared to see your investment drop as well as rise. Therefore, relying only on past performance charts of well marketed funds, or stock tips from “magazine analysts” might just be risky as betting all your money in a Las Vegas casino. You must understand the fundamentals of what you are investing on, what is the best time to buy and sell, and how volatile it can be. In any ways, it is always good to keep in mind your tolerance to risk rather than appetite for reward. Risk and reward go hand-in-hand, and any investor must consider the potential downsides before investing. Trading stocks (and risks) sometimes might sound complex, but in the reality it isn’t! There are “complex products” in the investment world, but you can just keep it simple and stay away from them. Once you are comfortable with one or more strategies (below), you will gain confidence and understand better risk, looking not on complex technical calculations, but just using common sense. Anyone can invest on the stock market, and there are multiple ways of doing so. There are hundreds of stock brokers around, offering multiple products that are suitable to all sort of investors and strategies. But unfortunately, you can’t choose any broker that you see on adverts and try to get you investment profiting from there. You need to choose brokers that are best suited for your trading investment strategy and, ensure the broker you chose charges the lowest fees. It is important that you first define your investment strategy, and choose a broker depending on the type of investor you are. Some brokers are better for short term trading (day trading or swing), others for “buy stocks and hold” for longer time. Let’s look on some of the possible strategies, and some brokers are well suited for it. The most popular investment funds are called ETFs (exchange-traded funds). These are investment funds traded on stock exchanges, much like stocks. An ETF holds assets such as stocks, commodities, or bonds and generally operates with an arbitrage mechanism designed to keep it trading close to its net asset value, although deviations can occasionally occur. Most ETFs track an index, such as a stock index or bond index. ETFs are attractive as investments usually because of their low costs, tax efficiency, and stock-like features. Our article How to earn money in stocks without effort gives an overview about active and tracker funds, and how you can easily start investing in stocks, by using tracker funds. But, remember the costs involved in buying funds, trusts, shares or ETFs can vary hugely, and higher fees can easily eat away at future returns. To ensure value for money, it is important to compare brokers and their charges on different products. This is easier than comparing energy supplier, but trust me, it can make a huge difference on your returns. Most investors buy and trade stock using stock market brokers, which nowadays are all online platforms which you can access anytime you want. You can set up an account by simply depositing cash or existing stocks in a brokerage account. Some brokers also offer in person services, but usually they would charge more for the premium service. Once you open an account with a broker, you will be able to give orders to your broker to buy stocks. The broker executes the trade on the your behalf. After selecting the stocks that you want to purchase, you can either make a “market order” or a “limit order.” A market order is a request to purchase the stock at the current market price. A limit order is a to buy the stock at a limited price. Because of broker fees, buying stocks usually make sense when you are putting a significant amount, like $1000 at least. I am not saying you can’t buy stocks with less money, but it is harder to profit if you invest low. Imagine your broker charges $10 per stock transaction. Because you are afraid to lose money, you decide to spend only $100 to “learn” how to trade in the stock market. You find a company that you can buy one or more stocks. At day 1, you send $100 to the broker and give the order to buy some stocks. Your account will be worth $ 90 (remember $10 was paid as transaction charge to the broker). Let’s say your stock goes fantastically well and grows 20% in 1 months. That’s a massive gain for any company, in such short period. Your account balance would be $ 108. Because you want to “pocket” your profit, you decide to sell your stock. The broker will charge you $10 again and sell the stock. Assuming the price remained the same, you get back $98. Although your stock made a gain of 20%, you end up making a loss of 2%… Not good. Now, let’s imagine the same scenario, in which you are still on the same broker that charges $10 per stock transaction, but you decide to invest $10 000 on stocks. At day 1, you send $10 000 to the broker, give the order to buy some stocks and book an appointment with your cardiologist. Your account will be worth $9 990 ( $10 was paid as transaction charge to the broker). Again, as you’ve learnt so well how to ready the market, you buy stocks from a company that gains 20% valuation in a short period of 1 months. That means, your account balance will shoot up to $11 988. As you might think this price is now unsustainable for that company, you decide to sell. The broker charges $10 again, and $11 978 goes to your account, giving you a profit of $1 978 (almost 20%!). The principle of day trading is to open and close your positions on the same day, sometimes even on the same hour. Usually, because of the speed required (seconds can make a difference between profits and losses), day traders don’t actually buy stocks, but use other platforms like spread betting or options to invest. Within these platforms, it is possible to use leverage and maximise returns (or losses), and any small volatility of the price of shares or currencies can result in a big result. 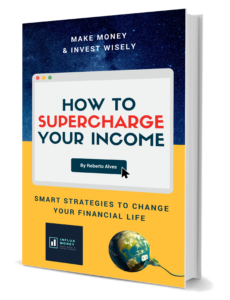 Because rapid returns are possible (due to leverage), day trading results can range from extremely profitable to extremely unprofitable, and high-risk profile traders can generate either huge percentage returns or huge percentage losses. To minimize the risk on day trading, it is essential the usage of clear defined strategies, which might also include stop-loss orders, to automatically end trades that are going in the wrong direction, before the damage is too high. Spread betting is a tax-free form of trading that allows you to take a position on whether you think a market will rise or fall, without having to buy the underlying asset. That means: you can make profit from stocks going up or down without having to own them. Different than stocks, with spread betting you can double or triple your investment in short periods, because of the use of leverage. Let’s looking at a practical example. Let’s say Apple is trading with a sell price of $ 135.05 and a buy price of $ 135.20. You strongly believe that Apple shares are going to rise in the next few days due to a new product release tomorrow. They are just about to release a new phone, and despite some critics, you believe it is going to be a huge success. Therefore, you decide to put a order to go long on (buy) Apple shares for $ 10 per point of movement at 135.20. That means, for every point Apple moves up you gain $ 10, while every point down means $10 less in your pocket. After three days, Apple shares have indeed moved in your favour and increased to 135.50 (sell) / 135.65 (buy). You decide it’s a good time to close your trade and get back your hard earning money. This means you’ll be coming out with a profit of the price of your closing order (13550) minus the price of your opening order, excluding any daily funding charges or other broker fees. On the other hand, let’s imagine the phone sales were horrible, as the handset if you originally decided to sell Apple for £10 per point at 135.05 and then closed at 135.65, you would have ended up with a loss of (13565 – 13505) x £10 = £600. Once again, excluding any daily funding charges. An ideal investor will have a diversified portfolio. This means you’ll have money in a variety of stocks with different goals. There’s no need to choose between growth and dividend stocks. Buy both. The concept of this type of investment is quite simple: you buy the stocks and hold them for a long time, without selling them. The time might be months or years, in which the stock price will fluctuate up and down, but after a lot of time will be worth much more, or at least it has paid you lots of dividends. You might also want to look at Easy investment strategies for a new investors for some basic ideas of Long term (buy and hold) investments. A growth stock is a share in a company whose earnings are expected to grow at an above-average rate relative to the market. A growth stock usually does not pay a dividend, as the company would prefer to reinvest retained earnings in capital projects. Growth investors choose stocks based on the potential for capital gains, not dividend income, so they can be risky. Technology companies are typically good examples of growth stocks because the opportunity for advancement is virtually limitless. However, growth stocks also carry a lot of risk because shareholders rely solely on the company’s success to generate return on their investment. If the company’s growth is not what was expected, shareholders may end up losing money as market confidence wanes and share prices drop. You should not get tempted by investments just because they are at the top of the performance tables. Strong recent performance should be seen as a warning sign, as the investment gains might have been already made, rather than as an opportunity to buy. While growth stocks are those that are anticipated to generate substantial capital gains, value stocks are those that the market sees as underrated or ignored. Growth stocks are often overvalued because the market sees them as money-makers. On the other hand, value stocks, by definition, are undervalued. Usually because they are not in “fashion” at the moment, or maybe the company in question is not producing the expected earnings and going through management changes. Warren Buffet is probably the most well known contrarian (or value) investor in the world. He usually acquires large portions of a company when the company stocks are “cheap”, with the expectation they will raise on the long term. A safer way to make money on stocks is to invest in a company that pays dividends. Some companies have reached their plateau in terms of growth. You might see some increase over time, but the real advantages of these stocks are their stability and dividends. You can probably trust that McDonald’s isn’t going to go out of business any time soon. Since the company makes enough money to reinvest and still have some leftover, it pays dividends. In other words, the company pays you money for being an investor. Because many dividend-paying stocks are lower risk, the stocks are an appealing investment for both younger people looking for a way to generate income over the long haul, and for people approaching retirement – or who are in retirement – who desire a source of retirement income. A company’s ability to hit earnings estimates is highly important to the price of your stocks. If a company exceeds expectations, it’s usually rewarded with a jump in its share price . If a company falls short of expectations – or even if it just meets expectations – the stock price can take a beating. Beating earnings estimates says something about a stock’s general well-being. A company that routinely exceeds expectations quarter-after-quarter is probably doing something right. Conversely, a company that consistently falls short of estimates for several consecutive quarters likely has problems. Before getting too excited when a company does manage to meet or beat the expectations, keep in mind that companies take great pains to ensure their numbers are on target. What investors often forget is that companies sometimes “manage” earnings to hit analysts’ numbers. For instance, a company might try to boost earnings by recording revenue in the current quarter while delaying recognition of the associated costs to a future quarter. Or it might meet quarterly estimates by selling products at a lower price at the end of the quarter. The trouble is that managed earnings of this kind do not necessarily reflect real performance trends. Investors should try and spot these kinds of tricks when assessing how quarterly numbers match up with estimates. 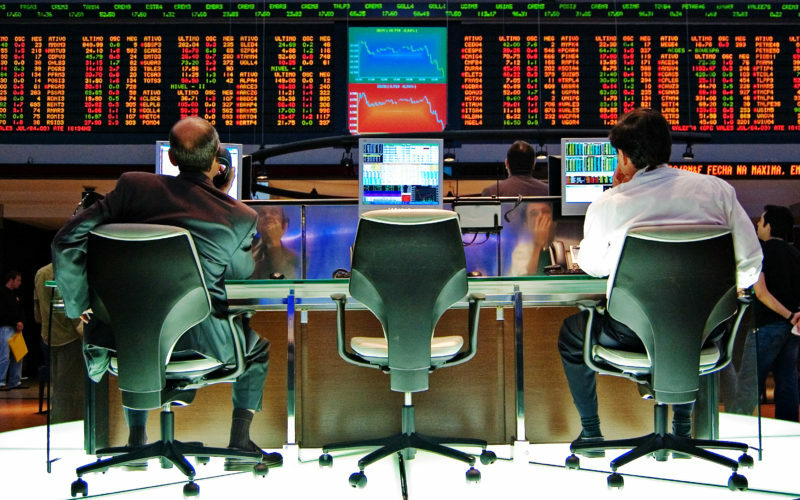 To ensure that everyone in the market has a level playing field in regards to market sensitive news, governments ensure that each country economic data release has a set time and date that it must be released. This means that at this particular time, every trader is watching the news release, and potentially making trades related to the news. 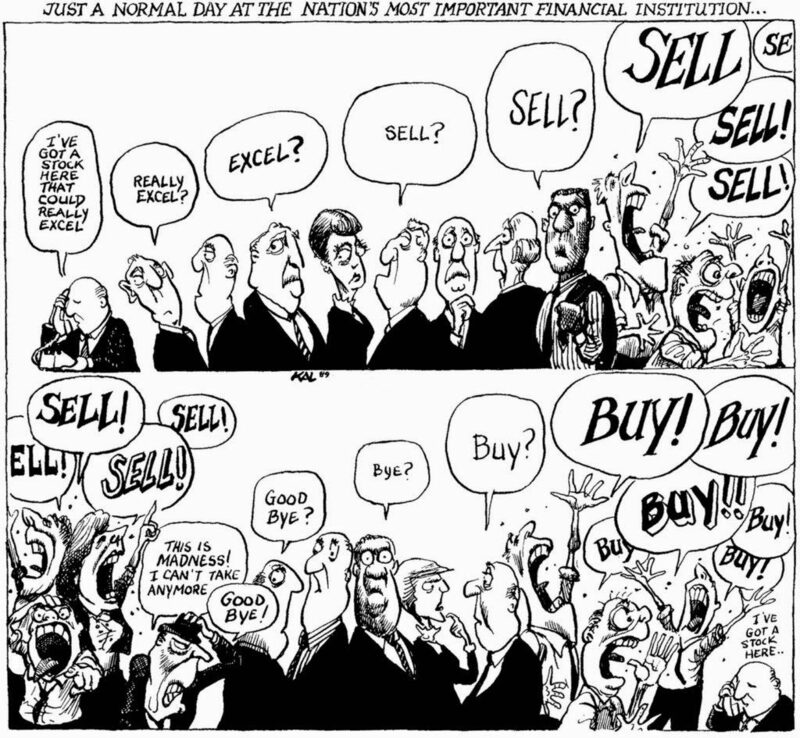 All this attention leads to very volatile market conditions, as everyone tries to win over each other in the race to best position themselves. Many brokers make available some sort of economic calendar, which allows you to filter news releases by country and sometimes expected market impact, making sure you’re only focusing on the news that is most relevant to your trades. Depending on the current state of the economy, the relative importance of these releases may change. For example, unemployment may be more important this month than trade or interest rate decisions. Therefore, it is important to keep on top of what the market is focusing on at the moment. Most times these decision will affect currencies, causing valuation or de-valuation. Sometimes, depending on the news, a number of company stocks can be affected as well. Example, if there are terrible news about the house price index, it is likely that most house builders in the country would be affected, suffering a drop in their shares. On the other hand, if retail sales are up, that means that many high street shops could see a good valuation increase on their stock value. Entrepreneur, real estate investor and occasional trader.